Representatives of charitable organizations, volunteer movements. Putin.BLOG Social services Representatives of charitable organizations, volunteer movements. 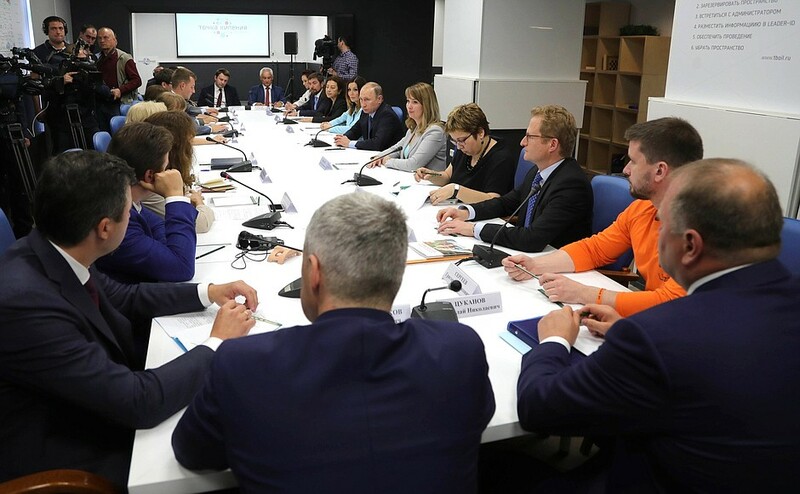 Vladimir Putin met with representatives of socially oriented non-profit organizations, charity foundations, volunteer movements and social entrepreneurs. Before the meeting, the President visited the Petrozavodsk State University IT park, where he was taken around a display area with projects that are being implemented with support from the Agency for Strategic Initiatives (ASI). I have always liked meeting with people who spend years doing what you are doing, that is, helping people, in particular, people who need assistance more than others. I am referring to senior citizens, people with disabilities and children. I will not give a long and boring speech. We can start our discussion right now. It will be a free and open discussion without any restraints. Let us proceed. 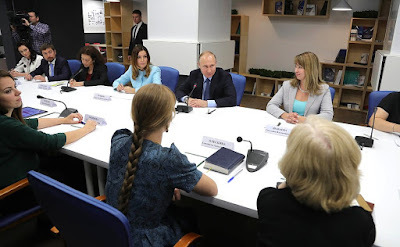 Vladimir Putin at a meeting with representatives of socially oriented non-profit organizations, charity foundations, volunteer movements and social entrepreneurs. This meeting is being attended by my colleagues from the Government and the Executive Office, and the acting governor. We are at your service. 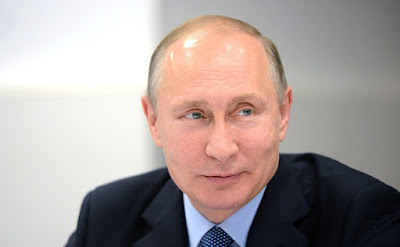 Let us talk about matters of importance and concern to you, about what is being done and what else all of us can do to work even more efficiently in this area of vital importance for us and for all Russian citizens. Who would like to start? Go ahead. 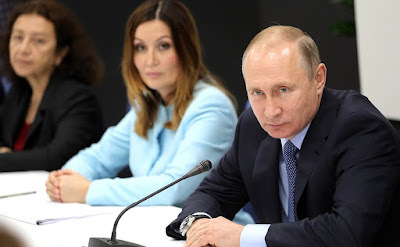 My name is Yelena Topoleva-Soldunova and I represent non-commercial organization Agency for Social Information and am a member of the Russian Federation's Civic Chamber. I want to outline a few issues of concern to many non-commercial organizations and volunteer associations. Our citizens have become more active of late and we see vivid examples of people taking part in the work of organizations, public groups and initiatives, working to develop the places where they live and taking part in all kinds of public activity to improve people’s quality of life. Of course, there is an interesting new area too – non-commercial organizations' involvement in providing social services. There is some good practice and interesting examples in this area. I recently attended the Community forum in the Ural district, in Tyumen, where people from Tyumen Region and Khanty-Mansi Autonomous Area spoke about their excellent experience and about how they get non-commercial organizations involved in social service provision. But I think it would be very important to establish a competency center that would collect best practice and spread it to other regions and other areas, because this is something we still have problems with at present. In other words, things are active and going well in some areas, but there are problems in other ones. If it would be possible to support this center's establishment, I think this would benefit everyone. I think we already have such competency centers in 18 regions, and of course, we will develop this network further. The aim is to make these centers hubs for information, and identification and exchange of best practice. They already operate in 18 regions and I think, incidentally, that this is one of Agency for Strategic Initiatives' projects too. Meeting with representatives of socially oriented non-profit organizations, charity foundations, volunteer movements and social entrepreneurs. Are you involved in this project? Of course, we have now carried out initial monitoring over the course of the year. Seventy regions are involved in this work. We can already see that this is a good initiative, but there are some difficulties and problems. Social sector innovation centers, probably? This is what we have been talking about. Yes, innovation centers. They are already up and working. We will develop this work further. I think it would be great if they open in other regions as well. I also wanted to note that we often need greater interaction with government authorities. Take, for example, the volunteer movement. More people want to come and work as volunteers at various institutions, such as hospitals and children's homes, to name a few. However, the rules of interaction with the authorities, that is, who to contact and where, are not always clear. This tends to turn away people who could otherwise be of help. I think we need to find, at the federal level, people directly responsible for this aspect of ​​work. However, equally important, and perhaps even more important, is the regional component, since a large number of competencies and responsibilities lie with the regional and municipal authorities. So, in each region, there must be a person responsible for such activities with these organizations. We will certainly promote this work in our interaction with the governors. I am confident that we will make it happen. At the federal level, we have Deputy Prime Minister Olga Golodets, who is in charge of social issues, and if we take this to the level of deputy prime minister, she is a natural choice for this aspect of work. In fact, this is how things are. Her responsibilities in this regard should be simply specified. Let us do so. I think it would be the right thing to do. There are many members of the Board of Trustees for the Social Sphere among our participants, and this board is led by Ms. Golodets. By the way, it is an effective public body, which achieves a lot through joint efforts, so, probably, it would be logical to do so. Agreed. We will do so. We will keep tabs on it and see it to completion. Is it only you and I who will talk here today? (Laughter.) I do not mind, though. As my colleagues will say. I will be very brief. There is a new status for NGOs now – providers of socially useful services. By the way, on July 12, all authorized representatives were to report to you on how the acquisition of this status is proceeding. So far we have 15 such organizations in the country because there are serious difficulties regarding the status acquisition procedure, in particular the proof that the services provided meet the required quality standards. The Civic Chamber has developed recommendations about how all of this could be simplified, because at present the procedure is overly formalized. However, everybody seems to ignore our recommendations. The Russian Government has already drafted two bills. The first should define the concept of social entrepreneurship as such. After all, this concept has not yet been codified in law. This is the main problem. The second bill addresses implementation mechanisms. When it comes into effect – and I hope that it will be finalized and adopted by the Federal Assembly, that is, the Duma and the Federation Council, during the autumn session – it will be easier. Why? Because then the regions will also have certain guidelines. Yes, yes, with regard to the quality of services, authority should probably be transferred to the regional level. As a matter of fact, it is already at the regional level but they need well-defined guidelines, standards and so on. Then I hope the situation will improve. Why do I hope so? I believe this is how is should be, this is what the laws are for. 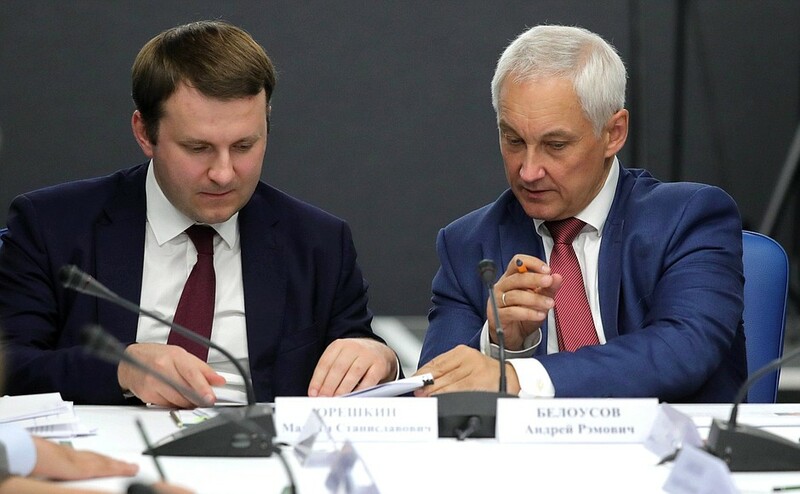 Minister of Economic Development Maxim Oreshkin (left) and Aide to the President Andrei Belousov at a meeting with representatives of socially oriented non-profit organizations, charity foundations, volunteer movements and social entrepreneurs. My name is Artyom Metelev and I represent the Association of Volunteer Centers and, just like Ms. Topoleva-Soldunova, I am a member of the Civic Chamber. Our organization was established in 2014 following your meeting with Olympic Games volunteers, when you endorsed the idea of preserving the legacy of the Sochi volunteer program. Now we bring together 125 regional organizations. Darya Makovetskaya is from Karelia, and the Karelian Centre is a member of our association. We also engage in volunteer activity with children, the Russian Movement of School Students, also university students and senior citizens. We have a dream: We would like to make the volunteer movement a part of every Russian’s life so that it is a natural norm and habit for a person to help and participate in developing the area where he or she lives. I would like to share with you our innovative project, which could help bring us closer to seeing our dream come true. Do you want to make every citizen a volunteer, regardless of age and health? Yes, so that every citizen has experience. We have examples. This is an ambitious goal but go ahead. I am sorry for interrupting you but let us look at your project. During the Russian Popular Front forum in April you supported the idea of creating a single federal online resource for covering the activities of volunteers, and issued corresponding instructions. We feel responsible for this, because the Government suggested using our platform. I wanted to show you the Volunteers of Russia platform as such a resource. Its functions and main purpose are to consolidate the volunteer movement in our country. It connects organizations that need volunteers and people who want to help. For example, if we look at volunteers in the Republic of Karelia, where we are now, we will see a variety of volunteers registered here. For example, this girl works at the center for orphans. Accordingly, the system invites her to participate in the rehabilitation program for teenagers. In other words, the system identifies her as someone who is interested in working with children and lives in the Republic of Karelia, the city of Petrozavodsk, and suggests activities that this particular person might be interested in. Where do you get the openings from? We suggest that various organizations, nonprofit organizations, including the funds present here, such as "Starost v Radost", "Lisa Alert", "Soyedineniye", and many other registered organizations, currently 647 of them, form an application and start looking for nonprofit partners as volunteers. We also discussed with the Ministry of Healthcare, the Ministry of Labor and all relevant departments the issue of whether budget-funded institutions could do this as well. Russian President at a meeting with representatives of socially oriented non-profit organizations, charity foundations, volunteer movements and social entrepreneurs. This is an intelligent system, which makes it possible to watch and process large amounts of data, analyze them, and issue corresponding advice. For example, the average portrait of a volunteer is a 23-year-old girl interested in social volunteering. In fact, more girls than boys do the volunteer work in Russia. Perhaps, this is a good thing, because women tend to be more compassionate than men. That is, if we see that here in Karelia volunteers are interested in culture and tourism, this is a clear signal to cultural institutions and authorities to create proper conditions for people. Who has created this program? Our organization, the Association of Volunteer Centers, together with the Russian Center for Civil and Patriotic Education of Children and Youth ("RosPatriottCentr"). The Agency for Strategic Initiatives is its partner. Did the ASI provide the funding? You did, Mr. President. (Laughter.) It was created with a presidential grant, which we obtained. Many thanks to you and all your colleagues who appreciated our work. 0 Comment to "Representatives of charitable organizations, volunteer movements."